When designing your collection, you’ll need to consider varying seasonal trends and shifting market conditions. Relying on versatile fabrics like spandex will carry you through the year, but you’ll need to adjust your offerings to suit the weather, from cozy autumn leggings to glitzy winter gowns for the New Year. Before planning your next ensemble, consider the different fashion trends of each season. In late September, as the summer breeze moves out and the air turns crisp and cool, fashion changes to account for the reduced temperatures. Fall fashion trends tend to revolve around cozy and comfortable, with earthy hues of browns and greens intertwined with fiery oranges and reds. Lightly lined jackets, scarves, and chunky wool sweaters made extra stretchy and comfy with added spandex are all staples of the season. As December rolls in, plummeting temperatures mean consumers will be covering up with thick, heavy coats. Fur, velvet, and wool are especially popular materials during this time, as are spandex tights ideal for wearing to parties and events. Colors tend to be dramatic during this season, ranging from bright crimson and evergreen to evoke the holiday spirit to the gem-like blues and violets of the New Year. Add some dazzle using sequins or glittery fabrics. Ushering in warmer weather, spring fashion trends are infused with pastels and soft shades of pinks, greens, blues, and lavenders. Customers will likely want lighter items that they can layer to stay comfortable for temperature fluctuations. Focus on delicate shapes with flowing details. The temperatures are heating and up and summer fashion trends call for breathable fabrics and designs with bright colors or floral patterns. Shorts and sleeveless tees will make their return, as will swimwear and workout clothing. Breathable cotton is also a popular material for this time of year. If you’re looking for inspiring fabrics and supplies like spandex to make your visions come to life, stop by Spandex House in Manhattan’s Garment District. 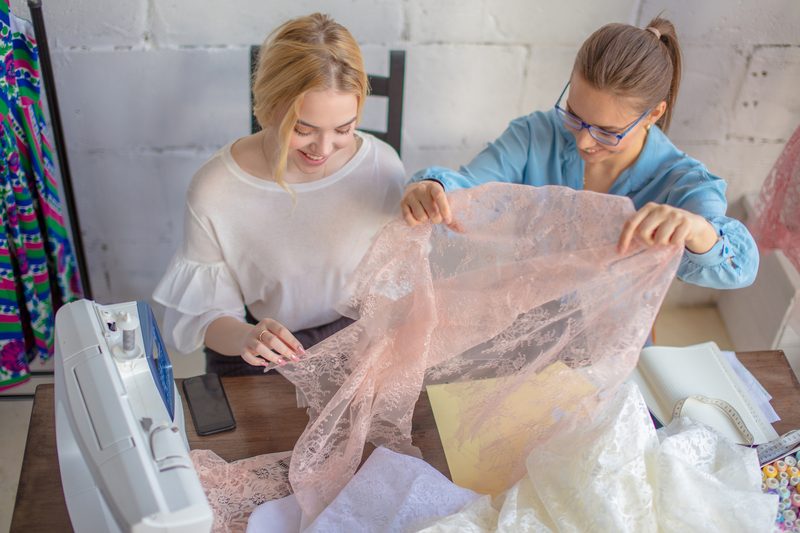 With more than 25 years of experience in the fashion and design industry, these professionals will help you find the materials you need to bring your vision to life. To learn more about their inventory, visit them online or call (212) 354-6711.